Visitors around the globe gathered to the ODOYO Lifestyle Lounge in the Hong Kong Electronics Fair 2015 (Autumn Edition).Soon after announcement of her new release with cutting-edge technology, the smallest Mobile Music Amplifier became one of the highlights in the fair. Her App Enable collections - iThermie and Odi-pet were still unveiled during the fair. 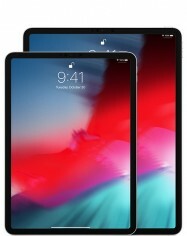 Likewise, ODOYO continues the historical series, AirCoat for the iPad mini 4 and more fashionable series for iPhone6/6S & iPhone6 Plus/6S Plus are being spotlight throughout the fair also. ODOYO is introducing the Apps-enabled smart lifestyle to her visitors in the HK Electronics Fair 2015 (Spring Edition) at booth 1A-C03. Be amazed by a number of smart solutions brought to you by ODOYO which will transform your traditional lifestyle in the future. Join us and taste the futuristic living sensation in the fair! 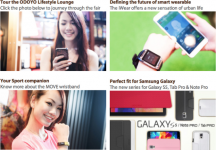 Visitors around the globe flocked to the ODOYO Lifestyle Lounge in the Hong Kong Electronics Fair 2014 (Autumn Edition) to get a first glance of her new releases. Soon after their announcement, the iWear smart watch and the Move wristband became one of the highlights in the fair. Other new product concepts of smart living were also unveiled during the fair. View the highlights of the fair to begin your new page with ODOYO Living. New image, new products, and new experiences - ODOYO is emerging refreshed and revitalized in the 2014 CES. In the year of 2014, ODOYO has much to offer with a stunning new look and product portfolio. Come and voyage the whole new ODOYO sensation in 2014 CES. ODOYO has once again become one of the spotlights in the Hong Kong Electronics Fair 2013 (Autumn Edition) which attracted a record high of over 100,000 visitors this year. More than 500 visitors from all over the world gathered at the ODOYO showcase during the fair to have a first glance at the latest iPhone 5C products and other exciting new release. 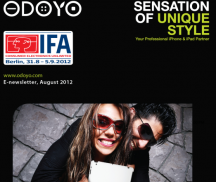 Thousands of the ODOYO renowned guest has been impressed by ODOYO style in IFA2013, are you one of them? 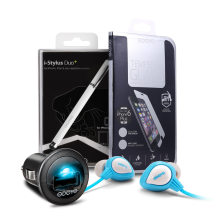 From iPhone 5C, iPhone 5S, Samsung Galaxy S4, Waterproof Earphones to Red Dot award winning Power+Shell Ex iPhone 5 Rechargeable Battery with Kickstand, ODOYO offers you a wide range of smartphone and tablets accessories to fit into your style! Can’t wait to get ODOYO home? 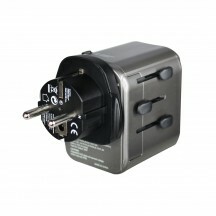 Please visit www.odoyo.com for more information. 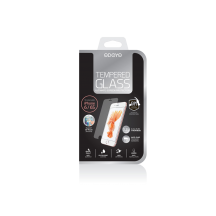 ODOYO has especially designed brand new Smartphone Accessories collections for you that you wouldn't find them anywhere else! 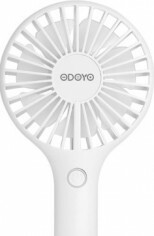 With the launch of Samsung Galaxy S4, iPhone 5 and iPad mini, ODOYO released a series of hot gadgets! 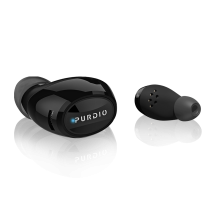 Waterproof Sport Earphones, Micro Car Charger with Lightning Connector, Battery Case for iPhone 5, Samsung S4 Cases collections and more... What’s more? 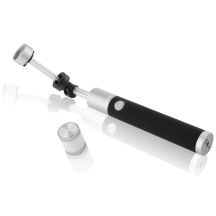 ODOYO Power+Shell EX Rechargeable Battery Case with Kickstand for iPhone 5 was awarded an “honourable mention” from red dot, one of the world’s most sought-after design prizes. Sounds exciting? Visit ODOYO (Booth No. B29-15) to further explore! ARE YOU ONE OF THE INCREDIBLE PEOPLE THAT WE HAVE MET IN CES? The bright, energetic and cool ODOYO has attracted a bunch of incredible people from all over the world to visit us in the record-breaking 1.87 million square feet of space for exhibit 2013 International Consumer Electronics Show! From exotic Wild Animal iPhone Collection of raised pattern, ODOYO x Johanna Ho iPad Collection with a feminine touch, to the finely crafted MetalSmith iPhone Collection with Carbon Fiber Pattern, ODOYO has prepared fabulously fashionable outfit for all of the fashion-forward guys and gals’ mobile and tablet at the show! Following International CES 2012 in Las Vegas, HK Electronics Fair (Spring Edition), COMPUTEX Taipei, DESIGN TOKYO, Macworld Asia 2012 Beijing, and IFA 2012 in Berlin, ODOYO is bringing their new iPhone 5 Collections to Hong Kong Electronics Fair (Autumn Edition)! Following International CES 2012, HK Electronics Fair, COMPUTEX Taipei, DESIGN TOKYO and Macworld Asia 2012 Beijing, ODOYO is bringing their fantastically fun style to iZone in IFA 2012! You are accordingly invited to discover more about the sensation of ODOYO. Plan your visit and become an attendee of the IFA 2012 to further explore! 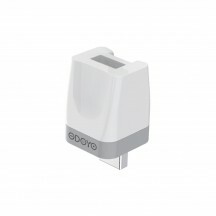 ODOYO brought their fantastically fun style to Macworld Asia 2012 Beijing – the Apple Accessories style hub in Asia! With its eye catching and dynamic presence, ODOYO undoubtedly captured the essence of the show and became the topic of the hall. ODOYO UNIQUE DESIGNS ARE COMING TO TOKYO! Following International CES 2012, HK Electronics Fair and COMPUTEX Taipei, ODOYO is bringing its sensation to DESIGN TOKYO - an annual event which gathers the latest design products and leading designers from all over the world. Reserve a specific time to meet with us now! We look forward to meeting you and sharing our new collection with you at the venue! ODOYO Sensation is Coming to Taipei! 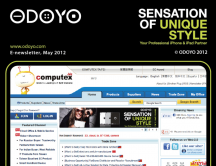 ODOYO is bringing its sensation to COMPUTEX Taipei, one of the largest gadget expo in the world! 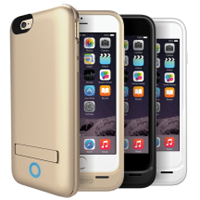 The new iPad cases, iPhone 4S cases, Battery packs, and…more! 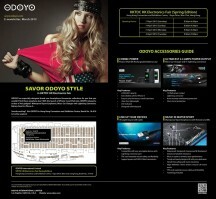 ODOYO brand new fashionable and high quality Apple Accessories will be awaiting you in the venue. Reserve a specific time to meet with us now! We look forward to meeting you and sharing our new collection with you at the Computex in Taipei! Join Us and Have Fun in the HKTDC HK Electronics Fair (Spring Edition)! For Immediate Release (Hong Kong) / March 27, 2012 - Discovery Park was clustered with renowned guests and ODOYO fans last Saturday. 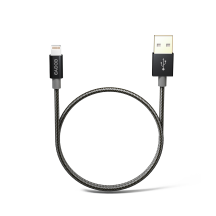 For Immediate Release/ January 16, 2012 – ODOYO, a producer of professional and fashionable Apple peripherals and accessories, has proudly introduced their new collections to thousands of technology fanatics in the 2012 International CES.